Photo courtesy of Antioch Parks & Rec Dept. 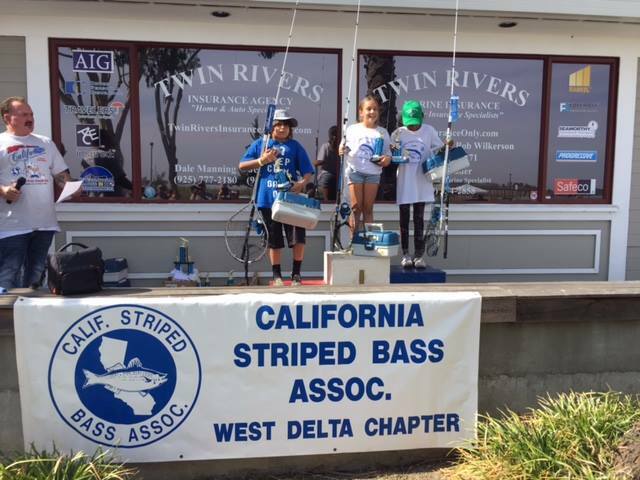 The California Striped Bass Association is hosting their 30th Free Kids Fishing Derby on Saturday, October 14, 2017 at the Antioch Marina. Registration begins at 8:30am and the fishing is good. The derby is held in the memory of Antioch resident “Compy” Compomizzo who inspired the mission statement Get Kids Hooked on Fishing, Not Drugs or Gangs. The Fish Derby is a collaboration of the Antioch Marina, the Antioch Recreation Department, and the West Delta Chapter of the California Striped Bass Association. Participants have a chance to fish using tackle that is partially furnished by derby sponsors and partially provided by the club. Club members who are experienced fishermen provide coaching and fishing tips for many kids who are totally unfamiliar with fishing, the water, and the outdoors. Other club members clean and bag caught fish so kids can take their catch home for cooking. Kids learn the fun of fishing as well as the value of our resources and of nature in general. Kids do not need their own fishing pole – there will be fishing poles to borrow. For more information please call the Recreation Department at (925)-776-3050, ext. 0. This entry was posted on Tuesday, October 10th, 2017 at 7:25 pm and is filed under Community, Recreation, Youth. You can follow any responses to this entry through the RSS 2.0 feed. You can leave a response, or trackback from your own site.